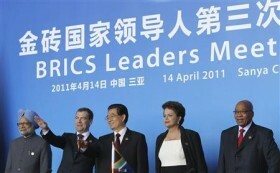 Little is known about how emerging nations, such as Brazil, Russia, India and China (aka, B.R.I.C. ), strategically use the international health community in order to strengthen their domestic HIV/AIDS programs. In this article, I introduce a new theoretical framework, strategic “receptivity” and “resistance,” in order to explain how and why this process occurs. Brazil emerges as the most successful case of how this process leads to the formation of international partnerships and domestic policies strengthening its AIDS program, with India gradually building such a response, followed by China and Russia. This article closes with an explanation of how this strategic interaction reflects the growing independence and influence of BRIC while highlighting how this framework applies to other cases.